A presentation on the Housing Capital Programme for Mayo County Council in the West Mayo region this week turned into a debate on the future of rural Ireland. Comments from the councillors followed a presentation by head of housing for Mayo County Council, Paul Benson. Achill based Fianna Fáil councillor Paul MacNamara said: "What about rural Ireland? If we build all these houses in urban areas are we going to close the door on rural Ireland? Of the 220 houses, there is nothing here for rural Ireland. The sites have to be acquired." He added: "They are not getting the opportunity to live in rural Ireland, there is every obstacle from the County Development Plan and now we don't want to invest in rural Ireland. Two hundred and twenty houses for the four top towns in Mayo, and what's there for the rest of rural Ireland? Nothing, sites to be acquired." His party colleague, Westport based councillor Brendan Mulroy, responded: "The reality is that the people want to live in the urban areas. When the housing section goes away and does a list, and the people say they want to live in the urban areas, and we go away and build houses in the rural area, what would that say about us? The reality is across the urban areas, if people want to live in the urban areas that's where they want to live, then by God, that's what we have to try and do, but I want people to live in the rural areas too." Independent councillor Michael Holmes added: "If you ask the question why do people want to live in the towns, it's because rural Ireland is being drained of services it's a simple as that the schools are closing the banks are leaving, the Garda stations are gone and it's as simple as that. It's being bled, bled, bled. "A farming organisation I'm involved with did a survey of 70 herd and flock numbers and they found that in a parish in west Mayo and we could not come up with 15 out of the 70 would be operating that farm in 15 years time. That is the reason it's a snowball effect and governments for 50 years have pushed that policy. Is there anyone encouraging them to stay, but no, they are encouraging them to go to the bigger towns." Mr Benson told the councillors that the council would be building or acquiring in the region of 500 houses under the programme, which represented about 40 per cent of the demand on the housing list in the county. He explained to councillors how the decision was made to divide out these houses. "Every location where there is a demand, they are getting 40 per cent of the need, be it rural or urban," he said. 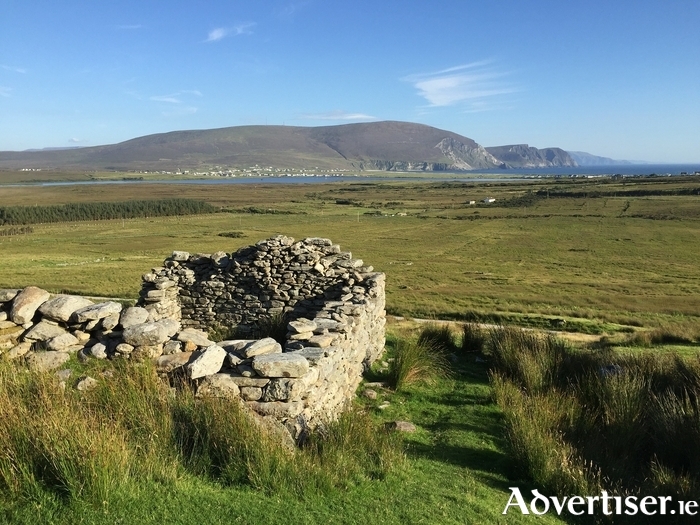 "When you talk about numbers, it was mentioned 300 households on the list in Westport and 40 in Achill. They are the gross numbers on the list, but in reality Westport is made up of people who are also on the list for Newport and Mulranny, because you have three choices. You have to distill it down and find out how many people are in each area for their first choice and it's about 140 in Westport, in Achill it's about 20, and so on. We have done it fairly, we have put about 40 per cent of the demand in each are on the list. "In the West Mayo district there are 32 population centres on my list that we would be prepared to build in, outside of towns like Westport, Louisburgh, Newport, and Belmullet the rest are rural areas. But when I look at the list in Eachléim there is nobody on the list, in Carrowteige there's one person on the list, Rossport there are three, Bangor there are six, Currane there are three. They are the figures, I don't make them up, people have willingly walked in to an office and ticked where they want to live." "The reality is, we have nothing against rural Ireland, we are trying to promote it and we have a very strong record of building schemes in these small areas in the county, stronger than any other local authority. But you can't force people into places and they follow the work, if they don't have work they won't live there, which is unfortunate, but I can't change that. "The majority of people want to live in the four big towns, but there is an awful lot of people who are going to be disappointed compared to everywhere else if you have 150 looking for Westport first choice and we can only build 60 or 70 that's almost 100 people who are out of luck, whereas if in Achill we manage to build 10 or 12 then only eight will be out of luck." Page generated in 0.1623 seconds.